Financial Relationship...Financial Relationship Management - Are you across it yet? Customer Relationship Management has perhaps been the most significant area of investment for businesses across the world over the past 10 years. As the channels of communication broaden and the effects of digitisation widen, businesses are presented with more media than ever before that they must invest in, to acquire new customers and win new business. And while companies have put a lot of focus into automating sales, marketing and fulfilment to win new business and sell more to existing clients, there has been a clear lack of investment or thought process into how we manage that customer once they begin interacting with the back office. Who has considered the contact strategy for customers once they begin transacting and purchasing from the business? We all know the familiar adage ‘It costs five times more to acquire a new customer than to retain an existing one’ yet the world over, companies are guilty of assuming that once the customer is secured, the communication efforts should only be reserved for marketing purposes – cross selling / upselling etc. High DSOs, invoice error rates, high processing costs are all symptomatic in companies that have maintained the status quo when it comes to antiquated back office processes. It is time to reinvent how we deliver perhaps the most important content, the invoice, to the customer. When we engage with clients to review transactional communications, it becomes quickly apparent that the invoice / statement communications are somewhat taken for granted. Nowadays the consumer demands much more than the simplicity of a printed invoice sent in the post. An invoice is an invoice, right? of limits. Sometimes, we manually pull out invoices that should not be sent. Occasionally, we send the wrong invoice to the wrong customer. Sometimes, we send invoices via PDF yet the customer claims to have not received, perhaps due to firewall issues. offering zero flexibility to respond to the customer. to pay or query bills also contributes to reducing the resources required to collect cash and lower DSO. Consider the platforms that marketers have been using to improve engagement with prospective new clients. 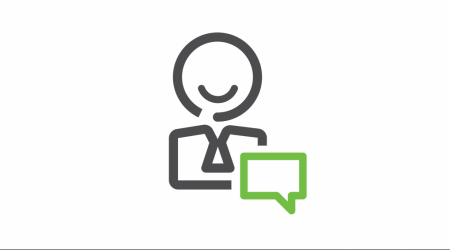 How could you leverage these platforms to improve back office engagement with customers? Self-service portals, e-billing, self-help dashboards, channel preference to deliver physical and digital invoices and statements. This is not future thinking technology. This is technology that your business has been investing in from a marketing and sales perspective for a long time. integrity as the marketing content, the invoice is as important, if not more so. The accounts receivable interaction is typically the final step in the transaction lifecycle, yet ensuring a positive customer experience is often limited or non-existent. invoices have been sent? What impact is this having on your staff resources that should be spent chasing debt? There is a world of options available to quality control the accounts receivable process – from the method of invoice delivery to giving the customer several options to interact with you and ultimately pay on time. Often, the solutions are simple enough to require little or no IT involvement and the payback is almost immediate. I often ask customers to reflect on the activities of their marketing teams. Have they stayed true to just physical direct mail to win customers? No. They have evolved their activity, embraced CRM, embraced digital, to stay ahead of the game and win new business. Credit managers need to realise that the same ethos needs to be applied on the back end, to improve the performance of the AR function. 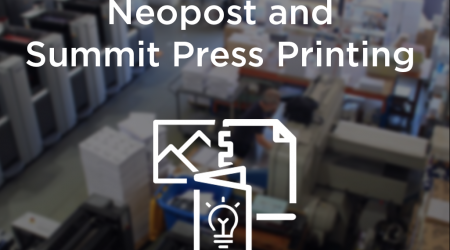 Neopost Australia is one of the country’s leading AR solutions providers, specialising in workflow automation, AR efficiency and document in and output management.